The Professional Regulation Commission (PRC) announced Friday night, July 18, the complete list of passers for July 2014 Forestry board exam. 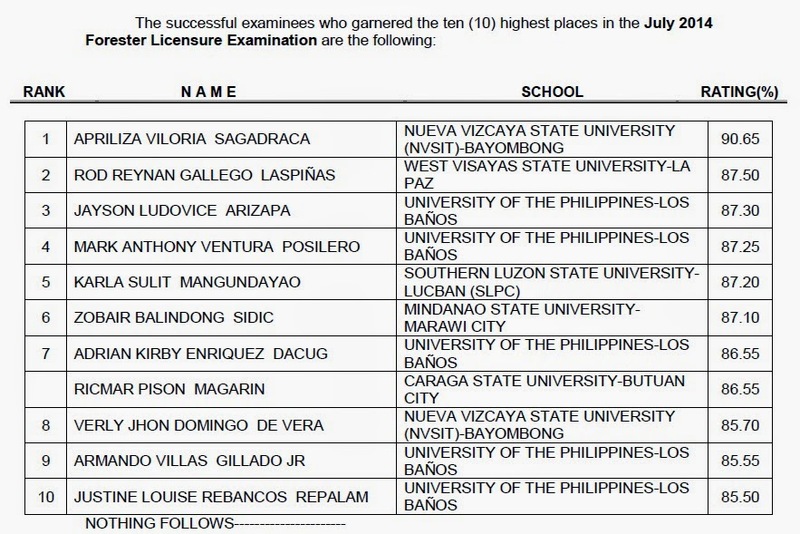 Apriliza Viloria Sagadraca, a graduate of Nueva Vizcaya State University (NVSIT) - Bayombong topped the licensure exam with 90.65 percent grade. West Visayas State University (WVSU)- La Paz graduate Rod Reynan Gallego las Pinas placed second with 87.50 percent average grade.